With the rapid expansion of digital media worldwide, it is unsurprising that the medical literature has followed suit. Although similarities exist, there are inherent differences between traditional, printed media and the new digital platform. The quality of traditional media is mediated by publishers, with peer reviewers selected from a pool of ‘experts’. Publishing via this route is expensive and access is limited to those paying the necessary subscription fees (limited receivers). Another aspect regularly debated and often objected to, is the time taken for information to reach readers. Once published and printed, articles available remain permanent and cannot be undone. Social Media (SoMe) on the other hand has many sources (multiple receivers) and differs in that the quality of the information is mediated by participants, many of whom will not have had training in the peer review process. 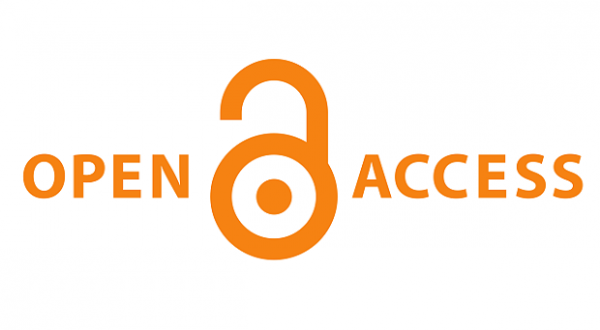 It is however cheaper or free to publish, providing easy, unlimited access. Publication is immediate and information is flexible, even after publication. By sharing our specific competencies, protocols and experiences, we can shift to a new online learning paradigm that will carry medical education into a new era. The challenge for medical education is how to adapt to this ever-changing environment, whilst still training the next generation of healthcare professionals to deliver the high-quality care expected of society. It is also apparent that the general public is becoming increasingly aware of the availability of this easily accessible information. As their medical practitioners, some may expect us to engage with it. When attending a General Practitioner surgery, patients will often see their doctor’s face aglow, consulting ‘Professor Google’, as a part of normality. It is very difficult to quantify the impact of SoMe using the techniques that we are familiar with using for traditional learning resources. Twitter attracts a high number of “followers” and retweets that are difficult to compare with traditional impact factors. However, many web blogs are used to host daily summaries of conferences and have demonstrated, via web analytics, an increase in the visitor traffic over the duration of a conference, indicating the presence of a significant audience who make use of the SoMe resources. Similarly, online resources providing peer-reviewed summaries of relevant publications (e.g. The Bottom Line), have steadily gained momentum and readership through re-tweets by its readers, generating publicity to capture interested readers. Such resources have also been used to interview authors of trials, allowing a wide audience to engage in critical discussion of their results just days (and in some case hours) after publication. This provokes earlier changes in practice than we had previously seen with more traditional methods of information dissemination. Emergency medicine was always considered to be the pioneer in the world of FOAM, with many highly active sites and blogs highlighting some fantastic work. Critical care, as relative newcomers, is now close behind with some 300 or so active sites. As mentioned above, many of these sites rely on the hugely effective amplification of their messages across the social media world via Twitter and other social media sites (e.g. Critical Care Northampton, International Fluid Academy). A list of recommended sites can be found in the below table. EMcrit www.emcrit.org Emergency medicine resources, includes critical care as well as EM. Blogs included. International Fluid Academy www.fluidacademy.org Critical care resources, includes symposia, blogs, podcasts, vodcasts, videos, powerpoint slides and FOAM publications. RebelEM www.rebelem.com Emergency medicine resources. Includes blogs, podcasts and videocasts. Can FOAM replace peer review? Other potential problems can relate to the submission of manuscripts, comments and letters in relation to intellectual property and the effects of peer review (of sorts) with forums such as blogs etc. Opinions and posts may not be consistently regulated across different SoMe resources (caveat emptor). There have also been florid discussions regarding the presence of ‘SoMe celebrities’, i.e. charismatic and vocal users with a heavy social media presence who may be influencing masses of followers with potentially biased views and opinions. Of course, the same could be said for large journals, prolific authors and speakers. It is obvious that the areas of interest and passions of the regarded ‘major players’, will have bearing and influence on others. Perhaps this is where ‘Eminence based’ vs ‘evidence based’ medicine comes into play. The question therefore arises whether FOAM could possibly replace peer review? The answer is, perhaps: FOAM ignores traditional hierarchy, it is free and has equitable access 24/7, it crosses professional boundaries, it is multi-national, transparent, robust and apolitical. Due to the ever expanding awareness and of FOAM, a social media index (SMI) has been suggested, while others suggested the so-called Kardashian index (KI). The SMI enables assessment of the impact and quality of FOAM resources, enables educators to receive scholarly credit and permits learners to identify respected resources. The KI measures the discrepancy between a scientist’s social media profile and publication record, based on the direct comparison of numbers of citations and Twitter followers. Possible dangers of FOAM relate to the reliability and correctness of the information provided. Recently, a quality label for medical websites has been launched, the so called HONcode by the Health on the Net foundation. Another danger related to SoMe and FOAM is reductive education: first we read the textbook, then we just read the chapter, then just the paper, then just the abstract and now we just read the Tweet. Not everyone is active on social media and indeed, there is distaste towards it amongst many. Those who are active on social media in medicine can often find themselves immersed in a world governed by like-minded individuals and, as a result, can fall securely and often naively into their own closed bubble. Ultimately though, it is up to the individual learner as to how much they engage with SoMe at conferences/meetings or during the normal working day. In the final part of this series, the authors explain why social media is such a key resource for physicians and offer advice on how to use it as safely and effectively as possible. Join us in Amsterdam for the 7th IFAD International Fluid Academy Days, Nov 23-24 to meet the SoMe team!